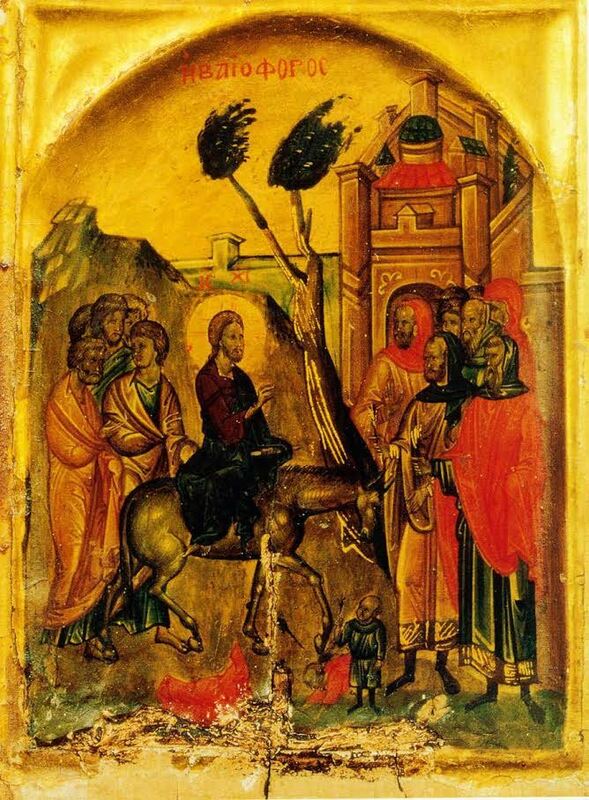 Today, Christians the world over celebrate Palm Sunday, the day that marks the Triumphal Entry of Jesus into Jerusalem. Over the years, artists have depicted the event in various ways, each according to the artistic trend he or she follows. However, they all resorted to the symbolic impressionism they always use to capture stories of the Bible. Coptic artists, especially in the early years, tended to draw very simple lines and spontaneous formations, depicting eyes big and wide as a sign of wisdom; also as indication that the artist’s sight looks beyond the material world. Among the old icons is a painting on wood that dates back to the 14th century and hangs in St Catherine’s Monastery in Sinai. Christ is depicted seated upon a colt as He enters Jerusalem a ‘Triumphant King’. He is the central figure yet modesty wraps His face and demeanour; His disciples surround Him with joyful faces. The olive branches symbolise ‘peace’; Jesus is the King of Peace and the Saviour. The white palm is symbolic of the pure hearts that rejoiced at the entry of Christ into their city. In His humility, Christ entered our dark life and willingly chose to save us from death; “For God so loved the world that he gave his one and only Son, that whoever believes in him shall not perish but have eternal life” (John 3:16).